Longing for lagoons: I’ve had an insatiable craving for Vitamin Sea and sunshine recently … symptoms, no doubt, of a severe case of midwinter blues. Deep-freeze temperatures here in Toronto most of last week, followed by two days of snowfalls this week, have only made my condition worse. 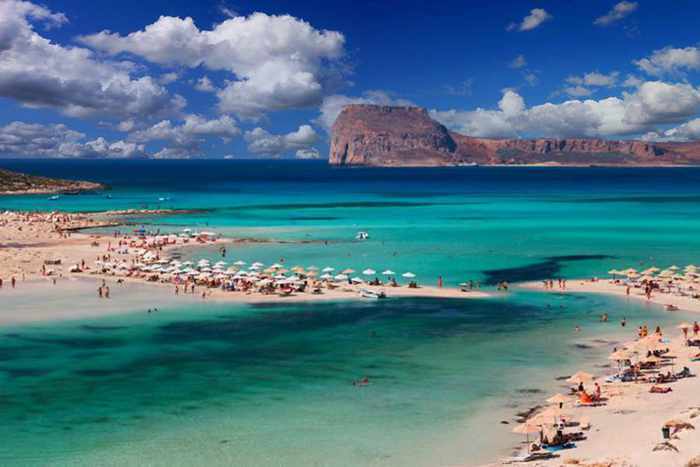 So I’ve been looking at photos and videos of Balos, what I consider to be one of the most sensational beaches in Greece, to take my mind off the cold and snow. 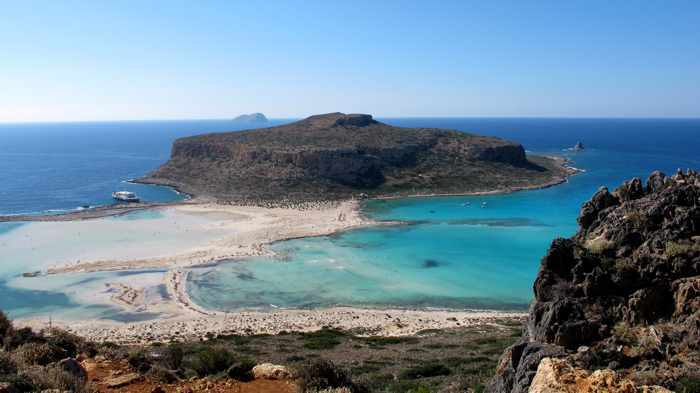 It’s a self-prescribed treatment I call the “Balos boost.” Even though I haven’t yet been to what is widely regarded as the most iconic and most photographed beach on Crete, it always lifts my spirits to see images of this exotic-looking seaside area. It’s dreamy scenes like this, photographed by Flickr member Caroline Martinez, that make me yearn for an escape to Balos. Here’s another image that instantly makes me daydream about going to Balos. 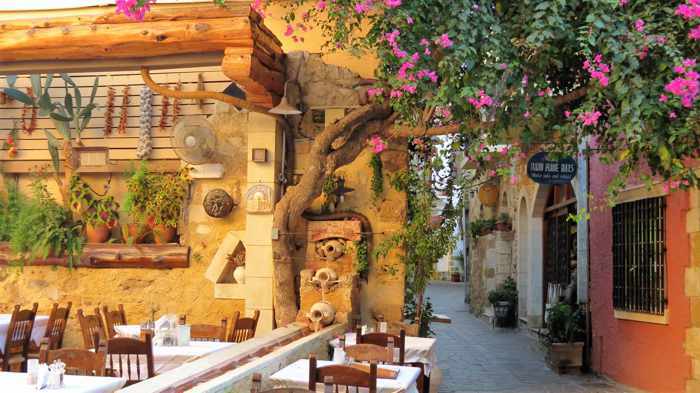 This scene, photographed by Giannis Fountoulakis, is just one of two dozen impressive images, all captured by Giannis, that appear in a Balos photo gallery on the website for the Elizabeth Estate Agency in Crete. Because it has everything I imagine in the Fantasy Island beach of my dreams: alluring shallow lagoons shimmering with more than a dozen different hues of tempting turquoise water; curving ribbons of white sand (pinkish from crushed seashells in some places); visually-striking natural landscapes with steep rust-coloured hills and cliffs, and rugged rocky seashores; marvellous scenery in every direction; and mesmerizing sunset views. All in a rather out-of-the-way location that can be an adventure to reach. It’s my personal notion of a Greek island paradise, a place that has “special,” “incomparable” and “wow” written all over it. From what I’ve seen and read, that’s the general impression Balos has made on many people who have been there and seen it with their own eyes. 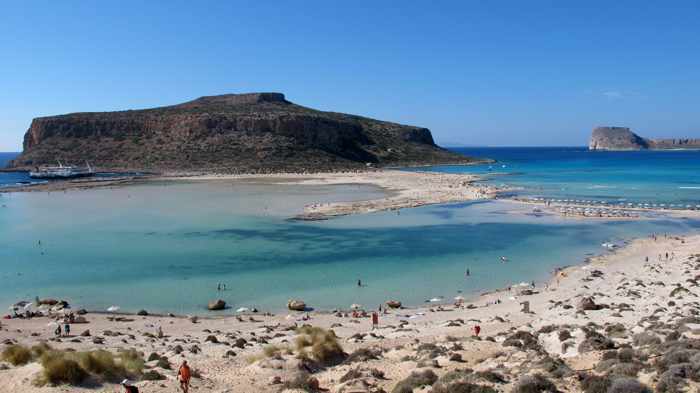 In fact, Balos was ranked as the #3 beach in Greece, and the #11 beach in Europe, in the recently-announced TripAdvisor Travellers’ Choice awards for 2016. 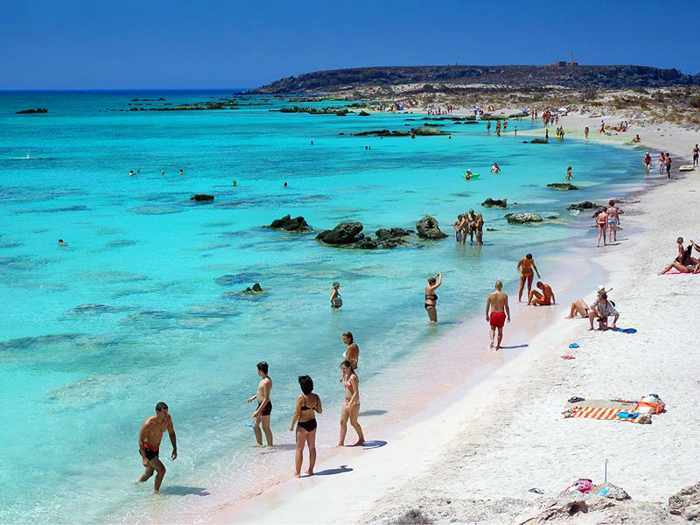 According to a post about Balos in the Bulgarian-language travel blog My Trips in Pictures, visitors can observe 12 to 17 different shades of turquoise in the Balos lagoons and surrounding sea. A few of the fascinating hues are seen in this photo from the Crete island, Greece Facebook page. Coming up on the next page, as well as in Part 2 of this post, you’ll see some of my favourite Balos videoclips and photographs — just a sample of the thousands of Balos images that have taken my mind off cold and snow dozens of times so far this winter. I’m sharing them here in case you could use a little Balos boost yourself, wherever you might be. I also have gathered links to online travel sites and blog posts that provide even more pictures plus detailed information about the beach, including directions on how to get there, in case you’d like to pay Balos a personal visit this summer or sometime in the future. 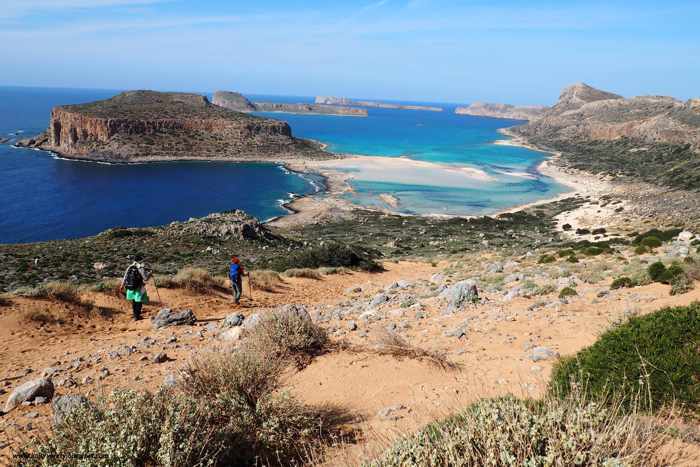 Consider it a mini guide to Balos, if you will. The only information I don’t include is for hotels, studios or rental villas — you’ll have to research that yourself, but you’ll find links to accommodation resources on most of the websites I mention, as well as in source credits appearing under many of the photographs in my post. To start off my “escape to Balos” feature, here is a video to help those of you who aren’t already familiar with Balos to get acquainted with its matchless location and sublime setting. I love watching this film by Žiga Zupančič because it instantly makes me feel like I’m at Balos, basking in the sun, appreciating the grandeur of the landscapes and scenery, and chilling out to the laid-back beach vibe. 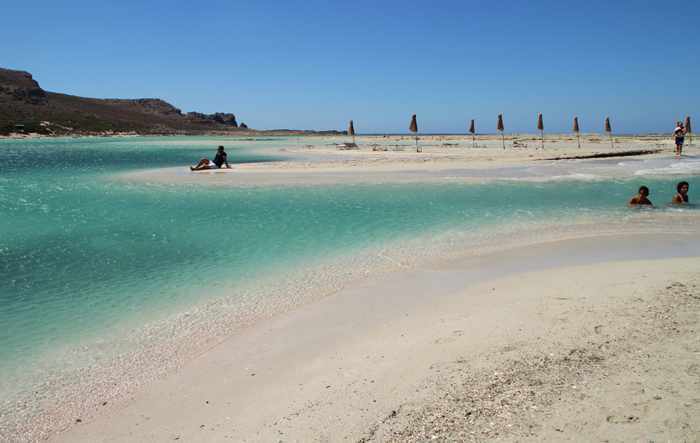 Most of this video by Carlos Torres was filmed on the beaches and in the lagoons, so it gives you a very good impression of what it’s like to be at Balos. The video also includes views from the drive on the dirt road, as well as from the footpath to the beach. Part 1 of my Balos “escape” post provided information on ways to get to the beach, and described what you’ll find there. Here, in Part 2, I share some of my favourite pictures and videos of the beaches, lagoons and surrounding coast. 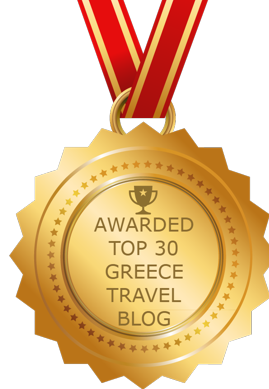 Many are from Crete-based travel websites, while others have appeared in blogs and on social media sites like Facebook. I have included credit lines to indicate where I obtained each photo. However, since so many images are shared without proper attribution on social media nowadays, it’s possible that some photos may not be correctly credited to the proper photographer or copyright holder. If one of your images appears here with incorrect attribution, please let me know and I will be happy to either amend the credit line or remove the image from this post at your request. Please click on the link below to view several videos and over three dozen more beautiful Balos photos on page 2 of this post. Significant Century: With its long and storied history, Greece has been associated with tourism for what seems like an eternity. Not surprisingly, tourism is the country’s oldest industry. 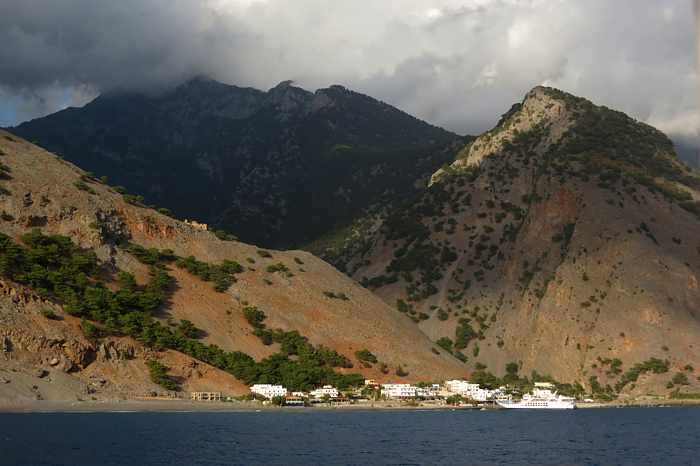 “The Greek passion for travelling, for both knowledge and adventure, began long ago with Odysseus, the paradigm of the eternal traveller; with Herodotus, the first tourist and most famous story teller; and with Pausaniuas, who wrote the first travel guide 2,000 years ago,” narrator Donald Morgan Nielson notes in the promotional video Greek Tourism: An eternal journey. The five and a half minute film features utterly splendid video photography of spectacular scenery from the Greek mainland and some of the Greek islands, and is accompanied by soaring, uplifting music by Dimitris Papadimitriou. 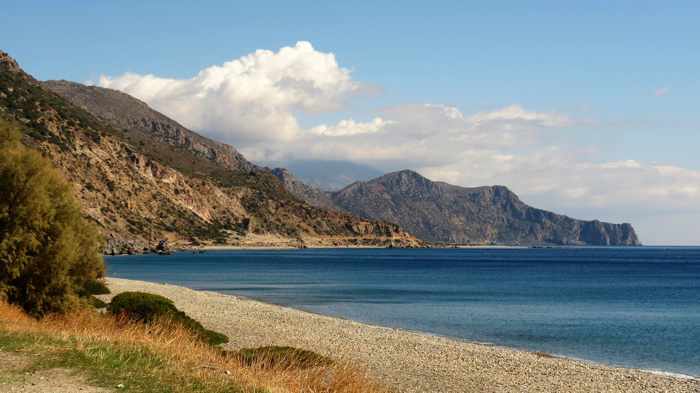 With a script directed by Andonis Theocharis Kioukas, the video was produced by QKas Productions for the Greece National Tourism Organisation (GNTO), and has been posted on the GNTO’s Visit Greece YouTube page. 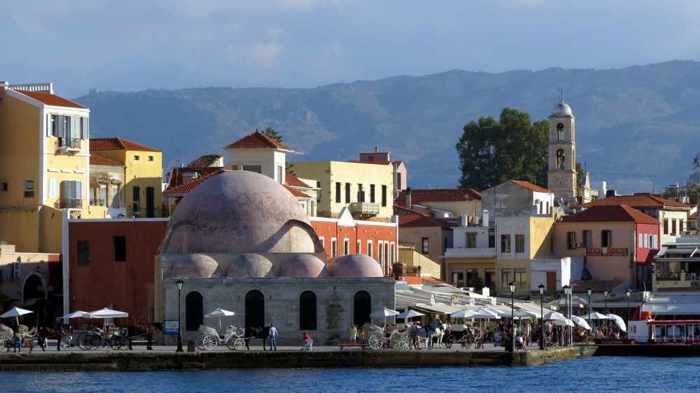 The video celebrates the 100th anniversary of officially-organized tourism in Greece. Back in 1914, respected Greek statesman Eleftherios Venizelos founded the first national service to oversee Greek tourism. That same year, 10,000 tourists visited the country, and the numbers just kept on growing from theret. They reached record proportions last year, when more than 17 million people visited the country — an all-time high. 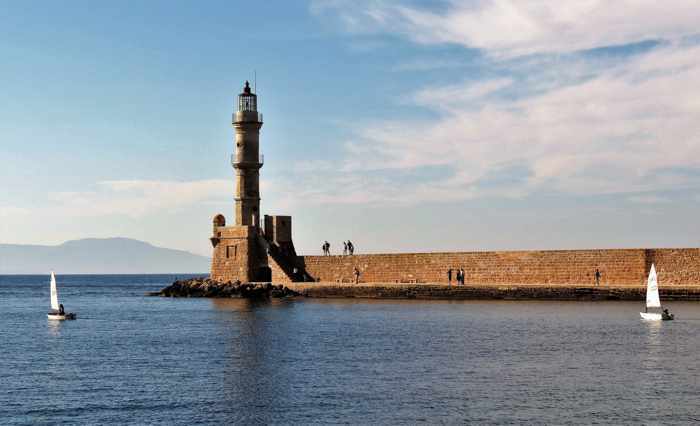 And even though it’s still early in 2014 and the main summer tourist season hasn’t even begun, Greece appears on track for another banner year. There was an 8.4% increases in the number of international arrivals at Greek airports in January, February and March compared to the same quarter last year, while travel officials report that summer bookings from major markets like Germany and the USA have risen substantially. 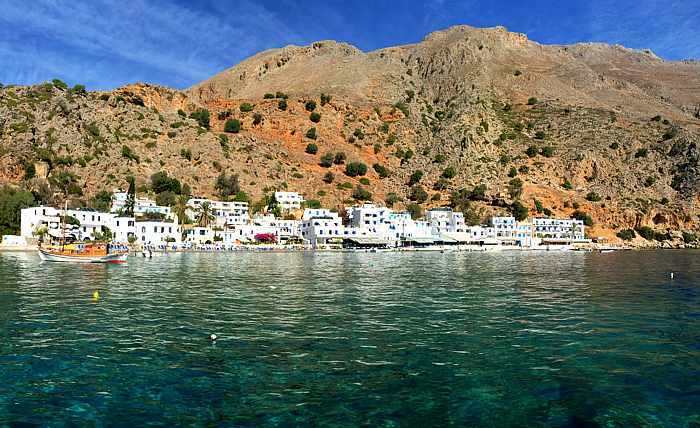 And with more than 150 new airline routes operating to Athens this season, along with numerous new international direct flights to Mykonos, Santorini, Crete and other islands, Greece appears likely to top its target of 18 million visitors by the end of the year. Frankly, I’m surprised the number of visitors isn’t considerably higher. But once more people get to view Greek Tourism: An eternal journey, I’m sure they’ll consider planning trips to see the amazing sights and attractions for themselves.